Posted November 16, 2018 at 8:09 am . 0 comments. KEH Camera is running a very hot pre-Black Friday sale: today only, save 25% on selected featured products, and 15% off everything else. Use coupon code “PBF11A” at checkout to see the discounted price. This sale excludes “New” and “Like New” items. Check out our KEH Stock Tracker to see all the items available. This is a very hot sale because 15% off everything is typically the largest discount that we will see. This sale is today only. KEH Camera is a very well known and reputable used camera dealer. They have very conservative used ratings, feature great prices, and during the holiday season their warranty is doubled to 365-days on used item purchases! Posted November 15, 2018 at 9:07 am . 0 comments. 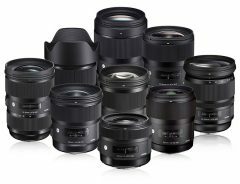 Sigma started a fantastic Black Friday Sale on Sigma Art lenses. 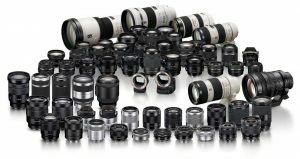 Many lenses are discounted, including recently released lenses. These are some of the lowest prices seen yet for these lenses! The final prices (after discount) are shown below. Posted November 9, 2018 at 12:03 am . 0 comments. 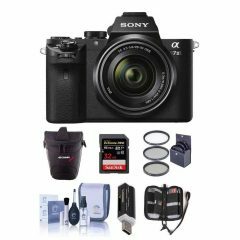 Adorama via Rakuten has a hot deal on the Sony Alpha a7 II with FE 28-70mm f/3.5-5.6 OSS Kit: it’s only $998.00, then you get back 15% ($149.70) back in Rakuten points that you can spend anywhere on their platform. This deal expires Nov 9th at 11:59 PM ET, or while quantities last. It’s bundled with a free holster case, a 32GB card, filters, and other assorted free accessories. Posted November 8, 2018 at 9:00 am . 0 comments. 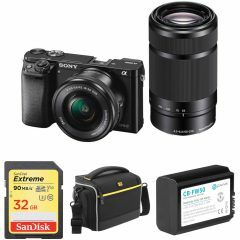 Another hot deal on Sony mirrorless cameras: B&H Photo Video and Adorama are both featuring bundles of the Alpha a6000 with 16-50mm and 55-210mm for $598.00 (B&H, Adorama). 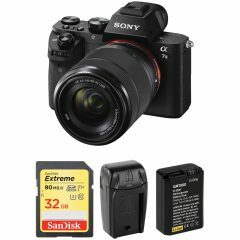 B&H Photo Video is bundling with a 32GB Extreme UHS-I U3 SDHC 90MB/s, bag, and battery. Adorama is bundling with a Lexar 16GB card, a bag, a filter kit, and free software. An incredible deal for this kit! Posted November 4, 2018 at 12:00 am . 0 comments. 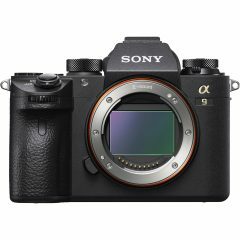 Click here to check out the deal at B&H Photo Video, while quantities last.